Disney’s 1991 animated feature Beauty and the Beast, which is based on the classic French fairy tale of the same name, sees an intelligent young woman named Belle who’s grown tired of her predictable small-town life. She wants to read and learn, and yearns for adventure, which makes her an oddity amongst her fellow villagers, who think a beautiful girl like her should just settle down and have a family. But she’s not interested in that. She repeatedly rejects the proposals from the town’s hunk Gaston, a vain and musclebound airhead who swears he won’t relent until Belle agrees to marry him. 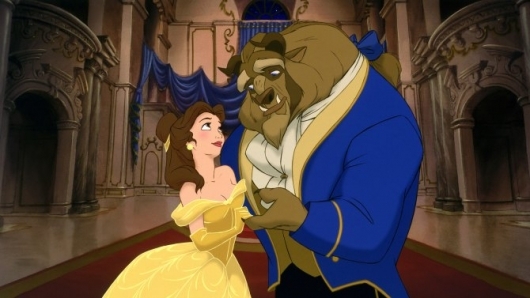 Belle eventually ends up at the castle of a prince who’s been magically transformed into a beast. In an effort to save her father, the young girl abandons her dreams of adventure and agrees to remain indefinitely at the Beast’s home, which is staffed by enchanted inanimate objects. (These were his servants who were also cursed.) Unbeknownst to Belle, there’s something that can reverse the spell placed on the Beast, but if it doesn’t happen in time, the irritable prince will remain forever in his monstrous form. In the meantime, Belle’s persistent suitor Gaston will do anything to have her, even if it means harming those she cares about.